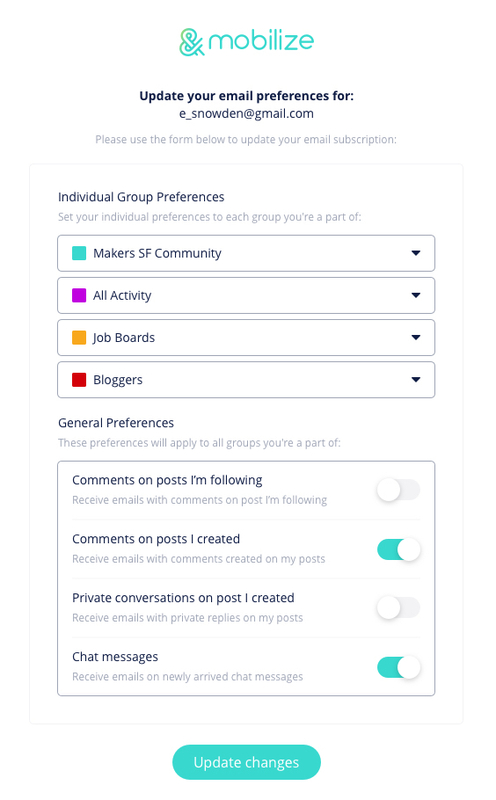 It is very easy to change and update your email settings for any group you are in both from within your community and from any group email you receive. Manager Announcements: This specific preference applies to any communication made by group or community managers. 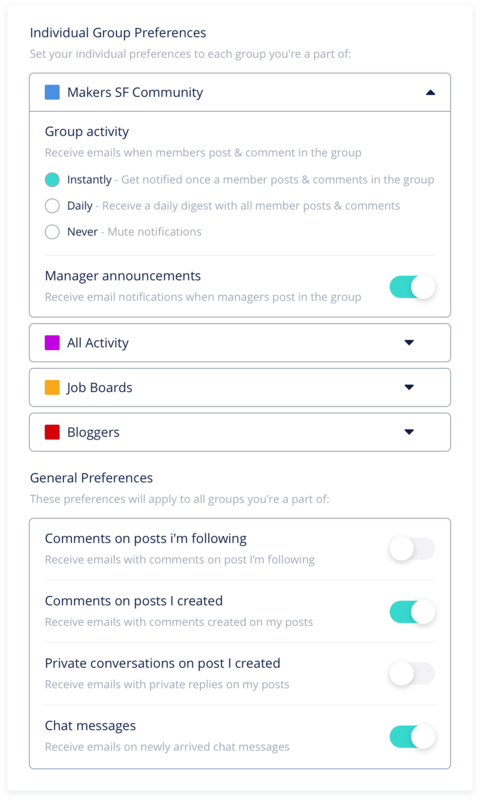 Members can set to recieve email notifications specifically when managers post in the group. These preferences will apply to all groups you're a part of. You can choose which notifications you'd like to turn on or off. 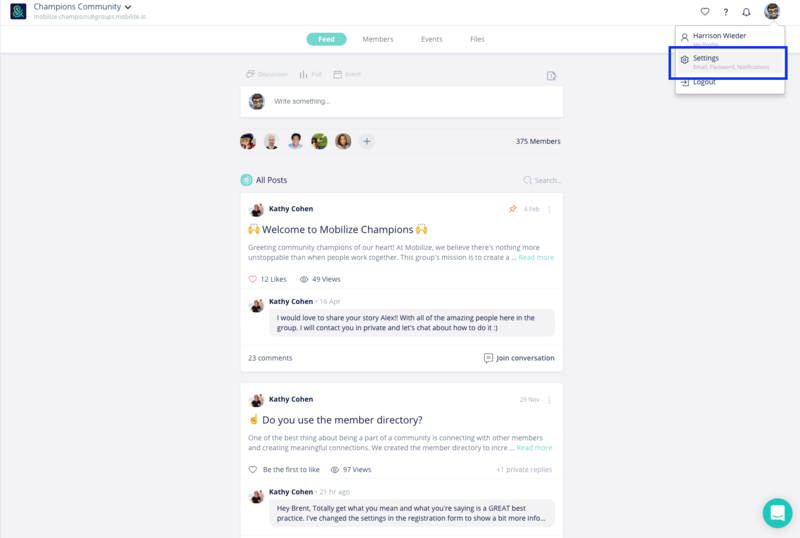 Members don't have to log on to the platform inorder to adjust their settings. They can modify their subscription settings from email by scrolling to the bottom of any email they receive and clicking update your email preferences link. They will be taken to this screen where they can set their preferences. NOTE: If your members unsubscribe, they can still login to the platform to view content and adjust their subscription settings. Unsubscribing from a parent group does not mean they've unsubscribed from a subgroup. Each group has its own unique subscription settings.